1.) Laughter is better than Vitamin C; it will boost your immune system. 2.) Laughter improves blood flow which energizes organs such as the heart, the brain, and the lungs. 3.) Laughter reduces aggression and tension. 4.) Laughter allows you to form connections and bonds with others. 5.) Laughter manages pain by releasing endorphins (peptides that offer a feeling of well being and help with pain management). 6.) 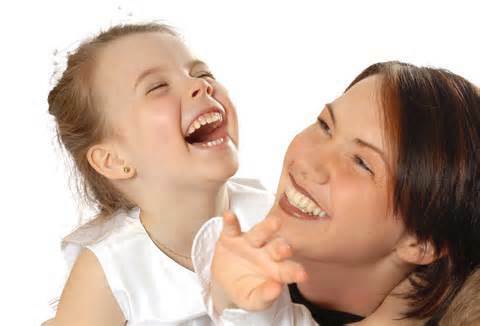 Laughter helps stabilize blood sugar levels. 8.) Laughter improves blood pressure and blood flow. 9.) Laughter helps coping with the unexpected. 10.) Laughter decreases the levels of stress hormones called cortisol and epinephrine. These two hormones can suppress the immune system allowing sickness and disease to attack the body. Laughter is contagious! Click on this link http://www.ahajokes.com/funny_jokes.html for one liner jokes to tell your co-workers, friends, or children like What do you get when you cross a duck with a firework? A firequacker! or Why did the turtle cross the road? To get to the Shell Station! In order to get children to laugh, you have to play silly games or tell jokes that are on their level. A younger child may not understand the “Shell Station” punchline. We loved to laugh as children, but somewhere along the way to adulthood we stopped laughing as much. Incorporating more laughter into our diets will cause positive things to happen inside our bodies! Order a personally signed copy of Shapes Go to School go from this website http://www.teacherspayteachers.com/Product/Shapes-Go-to-School-738347 or click on the book! This entry was posted in Uncategorized and tagged laugh, laughing, laughter on July 21, 2014 by terriborman.